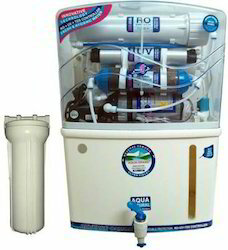 AQUAGRAND is an Indian healthcare products company headquartered in Noida, Uttar Pradesh. 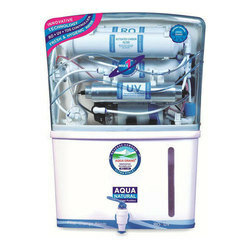 It makes water purifiers based on the process of Reverse osmosis (RO) purification. 10 Stage water purifier that purify any kind of water. It has Mineral Cartridge to maintain essential minerals in water.It has magnetic softner to minimize the Iron level in water. It has Anti-scallant Balls that reduces the level of hardness in water and enhance the life of membrane.